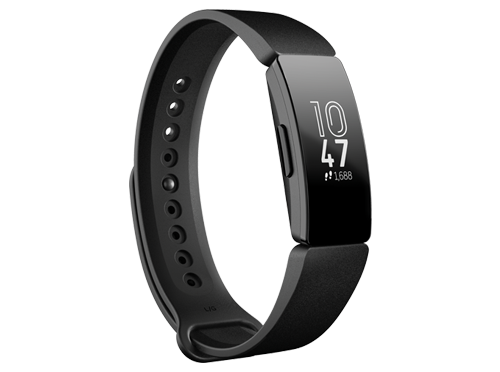 Introducing Fitbit Inspire – Designed to make developing healthy habits easier for everyone. 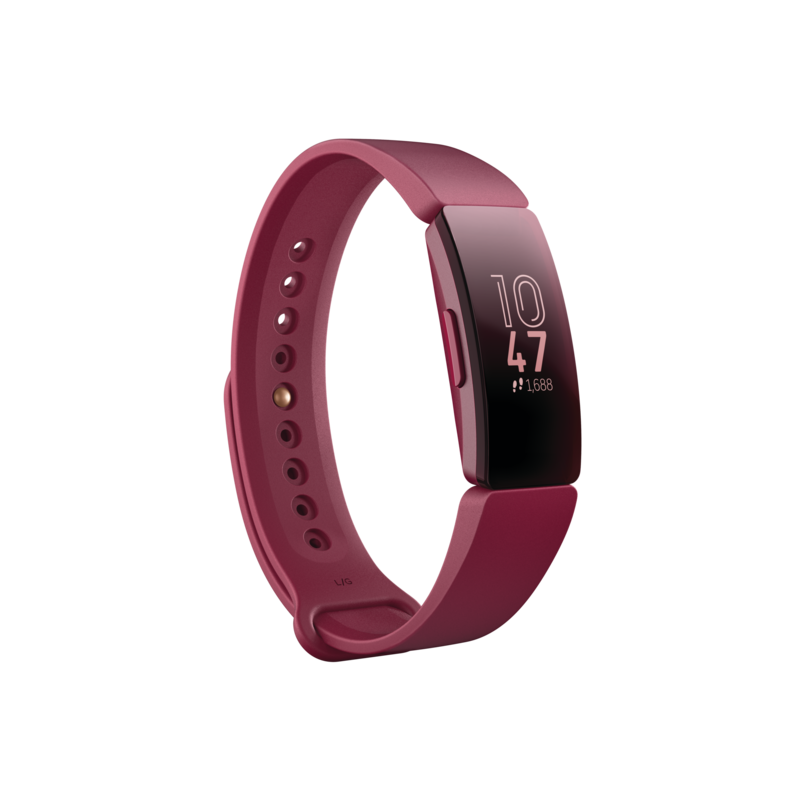 This special edition model is available exclusively for Fitbit corporate, wellness, health plan and health system partners. Check Inspire and Inspire HR or the Fitbit app to see how many calories you’re burning throughout the day so you can keep your nutrition on track. Swimproof + Swim TrackingSwimproof, so you can wear your tracker in the shower, pool and beyond. * Plus, it automatically tracks how long you’re swimming. Sleep TrackingUnderstand your rest to improve it with automatic sleep tracking and silent alarms on your wrist & bedtime reminders and helpful tips in the app. Intuitive Touchscreen DisplayThe Inspire and Inspire HR touchscreen has a backlit OLED display and responds to natural swiping and scrolling. On-Screen DashboardAn easy-to-use dashboard tracks steps & calories burned, encourages you to get active, hydrate & more right on your wrist. Reminders to MoveGet friendly reminders that encourage you to stretch your legs and take 250 steps every hour—and get recognition when you hit that 250! NotificationsStay connected on the go with updates from social media apps and call, calendar and text alerts. Available on-device when your phone is nearby. Timer & StopwatchInstant access to tools that make your life easier—like a timer for when you cook healthy meals & a stopwatch for tracking sets at the gym. Female Health TrackingUnderstand your body on a deeper level by using your tracker with the Fitbit app to follow your cycle, record symptoms and more. Clock FacesCustomize Inspire and Inspire HR with lots of clock faces options, like a helpful stats clock face for workouts or a polished clock face for work. 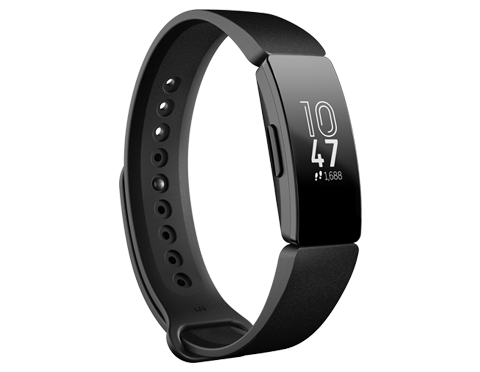 Wireless SyncFitbit Inspire and Inspire HR automatically connect to 200+ Android, iOS and Windows 10 devices to give you a cohesive view of your progress dashboard in the app. 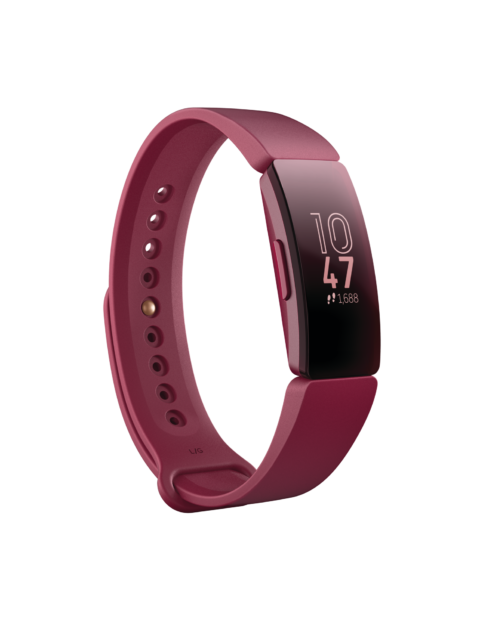 Fashion ForwardFitbit Inspire and Inspire HR are lightweight and stylish with a sleek appearance that blends seamlessly with the jewelry you already love to wear.